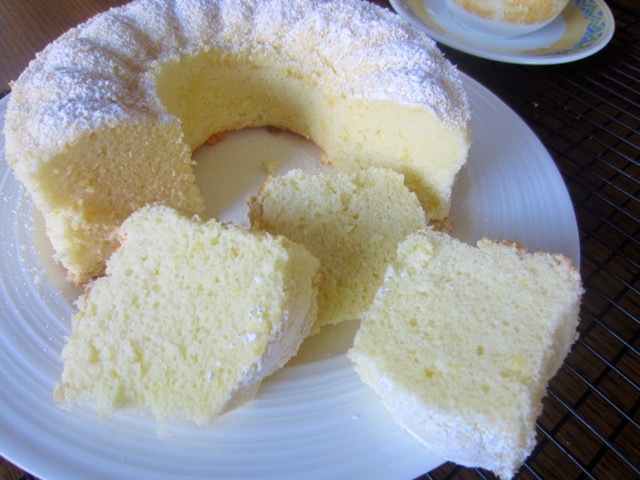 Chiffon cake is light, airy and tender. The egg whites are whipped with cream of tartar and folded into the prepared batter. 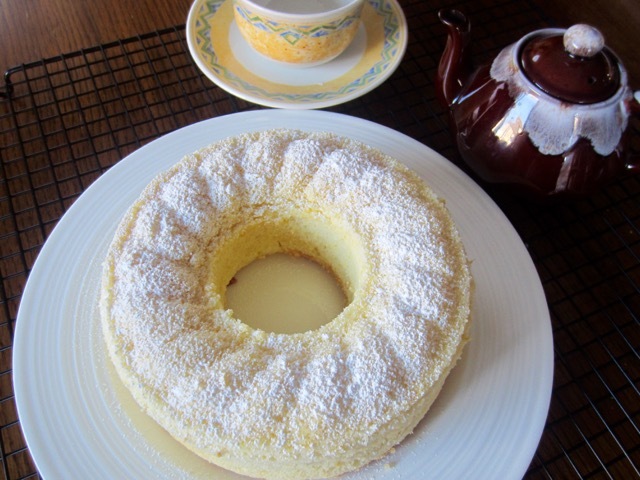 When you use oil instead of butter, you get a softer textured cake. 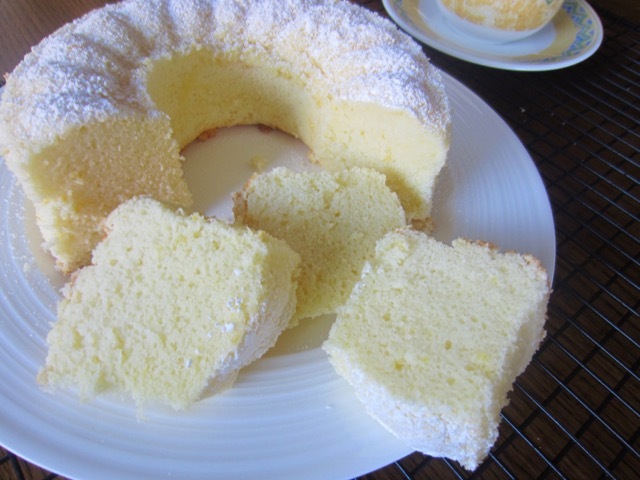 It was soft, light and fluffy and delightful to eat. Have a great weekend. In a separate bowl, whisk together egg yolks, oil, water, lemon zest and juice. 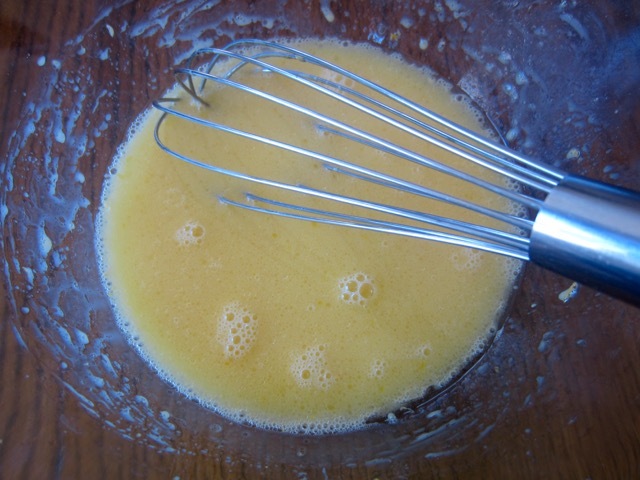 Add the sifted flour to the egg yolk-mixture and whisk until smooth. 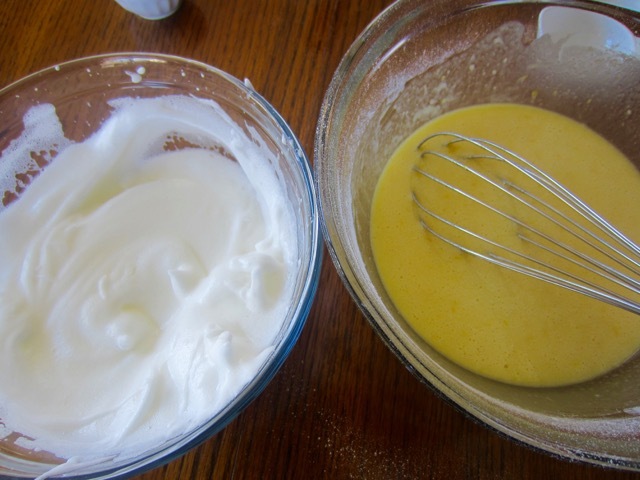 Using an electric mixture, beat the egg whites until foamy. Add the cream of tartar and beat until soft peaks form. Gradually add the extra 1 tablespoon granulated sugar and beat until stiff peaks form. 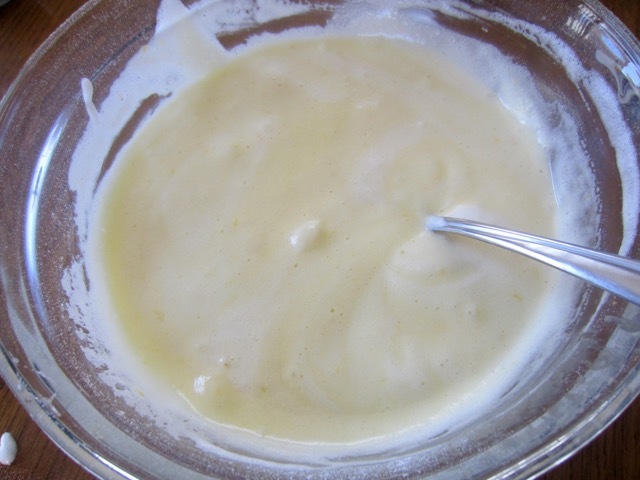 Fold 1/3 of the egg white into the batter then fold in remaining 2/3. Preheat the oven to 325ºF (160ºF) ten minutes before using. Sift the flour, baking soda, salt and granulated sugar, twice (make sure you sift). Use a 7-inch (18cm) ungreased tube pan. 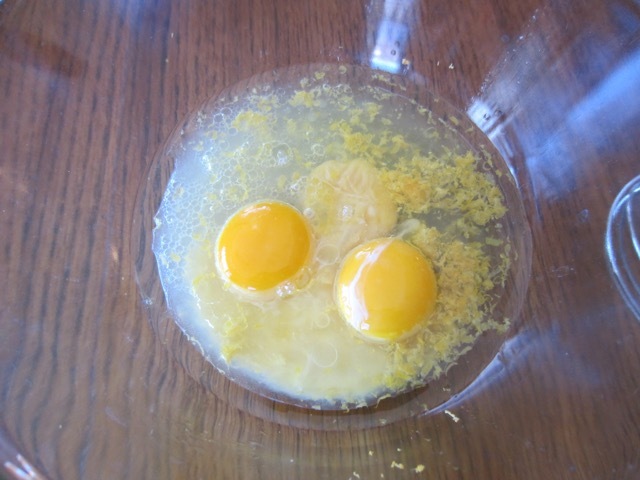 In a separate bowl, whisk together egg yolks, oil, water, lemon zest and juice. 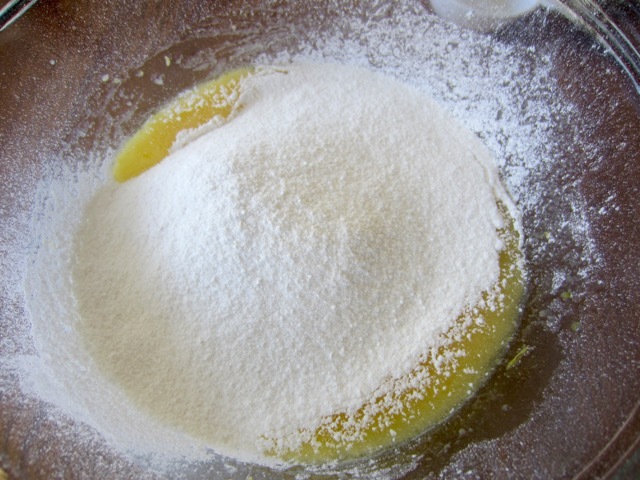 Add the flour mixture and whisk until smooth. 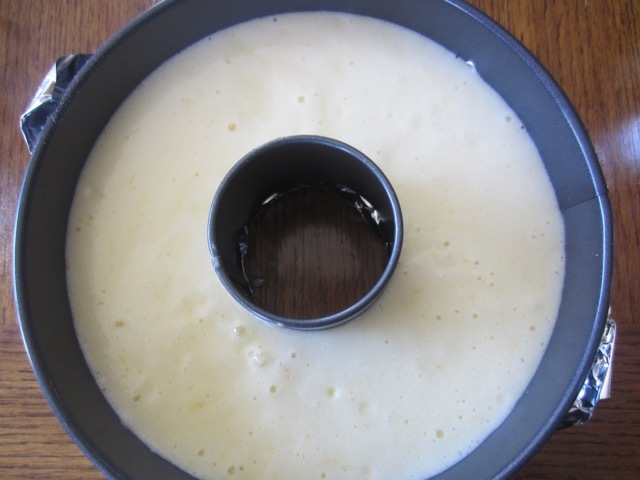 Remove the cake from the oven and invert pan onto its legs over a glass bottle and let cool completely. 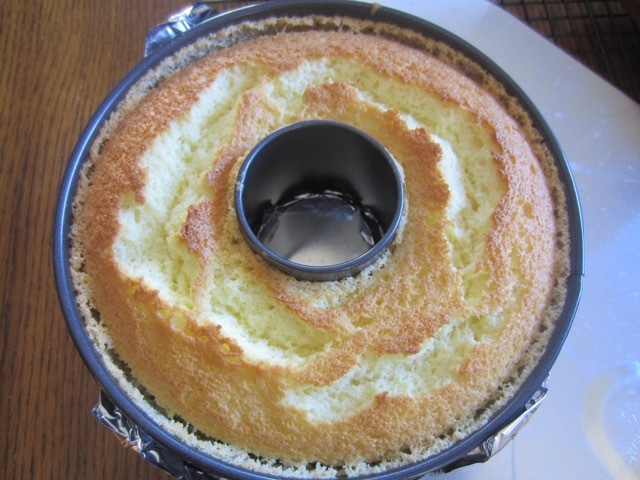 Turn the pan right side up, run a knife around the edges of the cake to loosen, turn out into a serving plate. Dust with confectioners’ sugar. Please note that oven temperatures are given as a guideline only. You may need to add or reduce the suggested temperature depending on your oven. 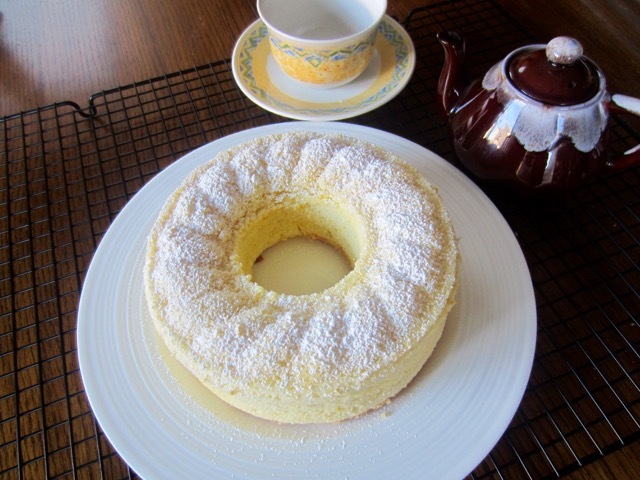 I baked the cake at 325ºF (160ºC) for 40 minutes. It cracked on top…..
Prev What is Amchur (Amchoor) Powder? What a gorgeous cake! I love lemon anything! Definitely earmarking this one. It looks divine. Would be a great accompaniment to afternoon tea. Ha that is a good suggestion. Have a lovely Sunday. This is beautiful! I bet it tastes amazing! Awesome ! 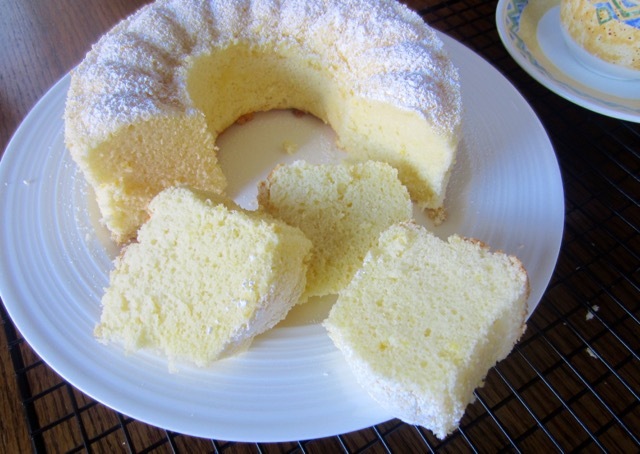 Your cake looks so soft & spongy.